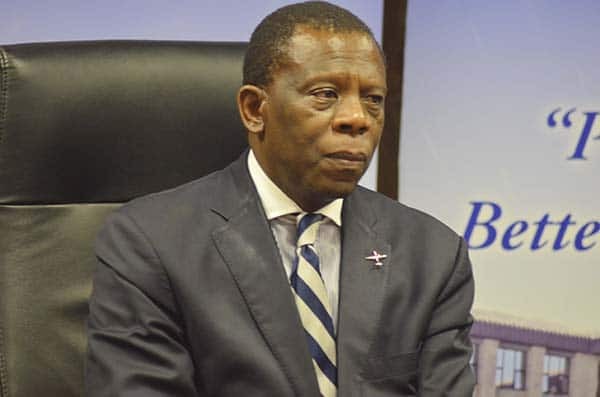 MASERU – Government may have made a bold move by proposing to generate additional revenue, particularly through the introduction of extra levy on the sale of alcohol, tobacco and petrol, however both consumers and business players are likely to feel the pinch. While local economic analysts say they appreciate the decision by government, which they describe as a big step towards improved revenues for the fiscal year 2019/20, Maseru Street Vendors spokesperson Khotso Lebitsa believes people on the ground will certainly bear the consequences. “Though we do not entirely support the sale of alcohol on the streets, we do believe the decision will certainly have a negative impact on those who are operating in that line of business because we are already operating under tough economic conditions on the streets as a result of hard economic conditions. “And as it stands our industry is already struggling because people are complaining of high prices so with such initiatives in place, people might be forced to further increase prices which will reduce consumption,” said Lebitsa in an interview with Public Eye on Wednesday this week. Announcing the budget for the 2019/20 financial year, Minister of finance Dr Moeketsi Majoro revealed that the government will introduce a 30 percent levy on the sale of tobacco, a 15 percent levy on the sale of alcohol and a 30 lisente per litre increase in fuel levy. The decision by government also did not sit well with Maluti Mountain Brewery (MMB) who have since outlined their concerns with regard to the impending negative impact a levy of this nature will have on its business and the liquor industry as whole. The levy on alcohol, according to MMB, will add another layer of costs in addition to the excise duty increase of 7.4 percent as announced in South Africa and is applicable to all members of the Southern African Customs Union (SACU), including Lesotho. In effect, this means that consumers will face an increase in prices of up to 22.4 percent, excluding the necessary inflationary cost increases, the brewing company said. The brewer has engaged extensively with the government and other key stakeholders since becoming aware of the possible introduction of the alcohol levy in an effort to provide context of the adverse impact of an additional tax on the beer products and the knock-on effects on the company’s cost structure and long-term sustainability of the business. If government finally implements these ideas, MMB is deeply concerned this could spur an increase in smuggling, and lead to some job losses as consumers switch to informal alcohol, thus negatively affecting the entire liquor industry in the country. “There are a number of implications associated with the introduction of this levy, many of which will put our business in an unfavorable position. The most important of this is the likelihood of consumers switching to informal alcohol and the increased opportunities for smuggling,” said MMB country manager Sesupo Wagamang in a statement released by the company last week. The company further warns that raising product taxes does not guarantee increased tax revenue since this assumes that customers will retain their previous consumption patterns. Government, on the other hand, believes otherwise. MMB corroborates their statement with a 2015 report on “Tackling Harmful Alcohol Use,” which states that a preventive strategy largely based on taxation will be less effective in countries where consumption of illegal or informally produced alcohol is more widespread or where it is cheap and easy to cross the border to buy alcohol at a lower price. In relation to smuggling issues, the company cited another research carried out by Euro Monitor International in 2018 across seven countries in Africa which concluded that US$1.7 billion has been lost in tax revenue in 2017 alone due to the illicit trade in alcohol. The brewing company is therefore worried about the likely increase in illicit liquor trade in Lesotho if government indeed ends up introducing the 15 percent levy. MMB is one of the major contributors to the economy of Lesotho, currently generating revenue of over a billion maloti representing an estimated three percent of the country’s GDP. On the side of the tobacco industry, the country’s only tobacco factory has almost closed shop due to what they mainly blamed to illicit tobacco brands making the local market. Sun River International, the producers of Sun and Mopheme tobacco brands, have mainly complained of cheaper brands being smuggled from South Africa and flooding the local market. Recent operations by the anti-smuggling unit of the LRA have confiscated huge columes of brands such as RG and others now flooding Lesotho through informal channels and selling at ridiculously low prices, a clear indication they are not subject to any kind of levies and duties. Local analysts, on the other hand, do not see anything wrong with the “sin tax”, particularly on alcohol and tobacco. In fact, they described the move as a perfect way towards government’s dream of increasing revenues for the 2019/20 financial year. According to the founding director of RL Consulting, Robert Likhang, the move will indeed generate revenue for the country and will have a direct impact on improving infrastructure. “Government can use that revenue to improve the infrastructure in the country which is currently in very shaky condition. It is also going to contribute towards the reduction in substance abuse as some consumers may choose to change their drinking and smoking patterns,” Likhang said in an interview with Public Eye on Tuesday this week. He, however, has a different view to that of the government on petrol levy, recommending that it should remain cheaper compared to neighbours such as South Africa since this will generate traffic for motorists to come and buy fuel in Lesotho. Similar sentiments were echoed by another economic expert, Majakathata Thakhisi Mokoena who said the decision will have a positive impact to the country’s economy, citing also that it is happening in many countries and not only in Lesotho. “It happens everywhere and it is not something we can complain about because the aim is mainly to generate revenue for the government which will in turn benefit the country,” Mokoena added in an interview with Public Eye on Tuesday. The government revenue collection for the 2018/19 is expected to average M15.6 billion, registering a small decrease 0.2 percent of the country’s GDP in real terms over the financial year 2017/18 collection. For 2019/20, revenues are expected to rise by 3.4 percentage points of GDP to M18.1 billion or 46.0 percent of GDP. The significant recovery reflects additional revenue measures including those projected on alcohol, tobacco and petrol.